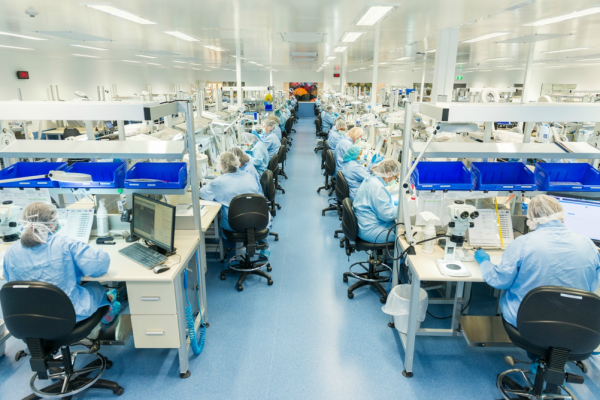 Cook Medical Australia has announced it is increasing the manufacturing capacity of its Brisbane-based Eight Mile Plains facility by nearly 70 per cent with the addition of an afternoon production shift. It said the expansion is in response to growing global demand for its endovascular stent grafts. Recruitment is underway for an additional 94 full-time employees who, once fully trained, will take the total number of skilled technicians employed across two manufacturing shifts to 231 by the end of 2018. The manufacturing facility produces endovascular stent grafts for the treatment of aortic aneurysms. It is one of the few sites in the world that custom makes these products to fit individual patient anatomies. The company also develops and manufactures products used in the IVF process onsite. Cook Medical Asia Pacific head Barry Thomas confirmed the significant growth in capacity would improve flexibility for employees. He said the Brisbane-based medical manufacturer’s commitment to supporting local manufacturing and local knowledge-based jobs is as strong as ever. “Over the last 39 years, Cook Medical Australia has built a strong reputation for product innovation and manufacturing excellence, and this significant increase in our local capacity ensures we are able to meet the growing demand for our products both here and overseas,” he said. “Manufacturing is essential to the economy and this expansion demonstrates Cook Medical’s commitment to manufacturing, innovation and jobs in Queensland,” added Mr Thomas. In 2017 Cook Medical Australia exported 94 per cent of its locally manufactured products to 64 countries and this expansion in production capability will increase the company’s export potential.